I Israel has once again demonstrated its determination to deter and dismantle the Iranian missile threat in its territory. This happened with new air raids on Sunday centering on the positions of the Iranian Revolutionary Guards in Syria. Nobody should be surprised by Israel's action. From the standpoint of Israeli security, the positioning of advanced missile platforms in southern Syria is totally unacceptable. These weapons are seen as a threatening threat to Israeli civil society and thus to the democratic health of Israel. Nevertheless, the Israeli military reaction here is proportionate. The recent air strikes were approved only after a failed Iranian missile attack on Tuesday. And Israel has a determined purpose here, not just to sanction Iranian misconduct. Prime Minister Benjamin Netanyahu wants to make it clear to Tehran that its benefits from rocket activities are outweighed by significant costs. It is a legitimate understanding. The IRGC commander warned Monday that Israel "should only know that you are playing with a lion's tail, and you should fear the day when Iranian precision missiles burn down on your head." The necessity and morality of these air strikes is clear, however. Netanyahu has previously tried to win the compulsion of Russian President Vladimir Putin because of his activities in Iran. However, as these efforts have failed, Israel relies on long-range clout. 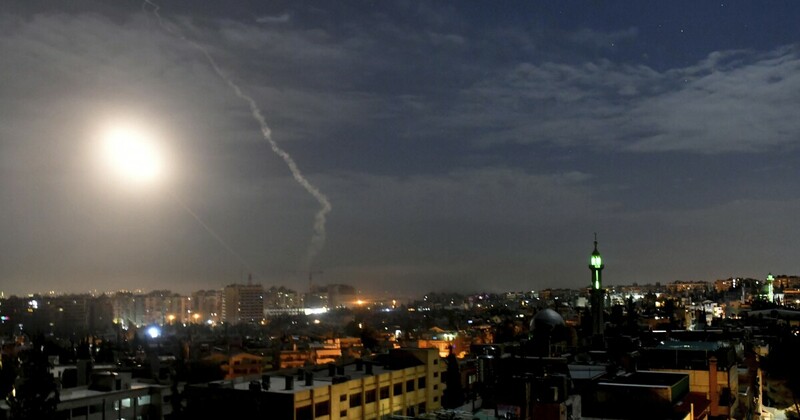 While the Russians are embarrassed that Israel is taking Iranian positions right under the nose of Russian-backed air defense networks, Moscow is unlikely to activate these networks against Israeli jets. This would mean inviting the destruction of the networks by Israel. That leaves us where we are. With Iran determined to harass northern Israel, Israel pledges to change Iran's interest in these efforts. Given the resolve of both sides, these latest air strikes will most likely not be the last.